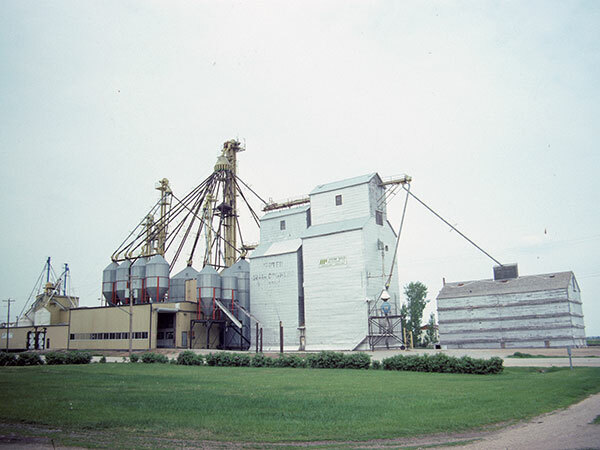 A grain elevator in the village of Graysville, in the Rural Municipality of Dufferin, was once operated by United Grain Growers and later by a private seed processing company. It has been removed from the site. Source: Historic Resources Branch, Grain Elevator Inventory, slide 2213.